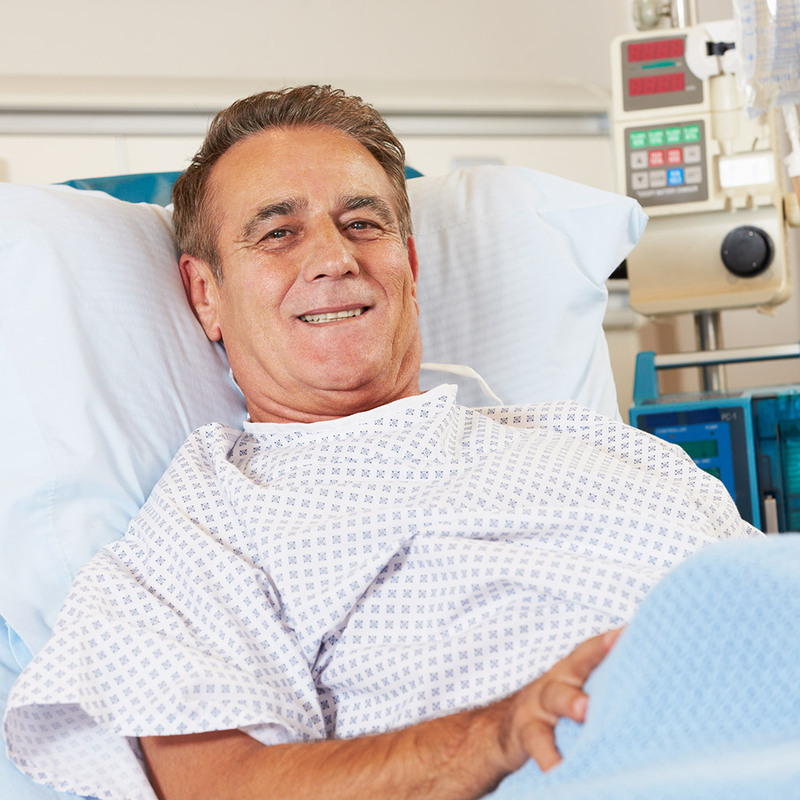 This procedure involves removal of the kidney through several keyhole incisions. It requires the placement of a telescope and operating instruments into your abdominal cavity using 4-5 small incisions. The adrenal gland may also be removed and one incision will need to be enlarged to remove the kidney. Normally, a full general anaesthetic will be used and you will be asleep throughout the procedure. In some patients the anaesthetist may also use an epidural anaesthetic which improves or minimizes pain postoperatively. A bladder catheter is normally inserted during the procedure to monitor urine output and a drainage tube may be placed through the skin. You will be given fluids to sip from an early stage after the operation and you will be encouraged to walk with assistance as soon as you are comfortable to prevent blood clots forming in your legs. The wound drain and catheter are normally removed after 24-48 hours. The average hospital stay is 5 days. Bleeding, infection, pain or hernia of the incision requiring further treatment. Bleeding requiring conversion to open surgery or requiring blood transfusion. Entry into lung cavity requiring insertion of a temporary drain. The histological abnormality may eventually turn out not to be cancer. Recognised (or unrecognised) injury to organs/blood vessels requiring conversion to open surgery (or deferred open surgery). Involvement or injury to nearby local structures (blood vessels, spleen, liver, kidney, lung, pancreas, bowel) requiring more extensive surgery. Anaesthetic or cardiovascular problems possibly requiring intensive care admission (including chest infection, pulmonary embolus, deep vein thrombosis, heart attack and death). There may be some discomfort from the small incisions in your abdomen but this can normally be controlled with simple painkillers. All the wounds are closed with absorbable stitches which do not require removal. It will take 10-14 to recover fully from the procedure and most people return to normal activities after 2-4 weeks.